Surf the internet for Other People's Party Ideas. Become discouraged when 95% of Other Minecraft Parties seem to be 60% fusible bead playdates among toddlers, 96% cube-shaped foods, 97% printed cutout decorations and only 3% actual activities. Hit Oriental Trading Company's webpage with wild hopes. Become discouraged when the closest suggestions for Minecraft anythings are Shiny Gold Coins and Inflatable Spiders. Surreptitiously (i.e. while the children are in school) visit Party City and brazenly ask staff where the Minecraft Section is. Become discouraged when staff sheepishly reply, "There isn't one. We've been trying to bring in Minecraft things for the last year." Resist the urge to scathingly respond, "Well, try harder!" reminding self that it is no one's fault but one's own if one has allowed one's offspring to cultivate hobbies that don't have ready-to-party themes in stores. In throes of despair, begin swotting. Like as if it's an exam (which it is). Assemble your Dream Team: hot glue gun, craft knife, kitchen scissors, T-square, sticker-maker, piping bags. Give them pep talk. Say, "Guys, we need a miracle. Make it happen." Remind self that their ominous silence has more to do with being inanimate (but awesome) objects than poor team spirit. Recruit your Other Dream Team, the ones with actual vocal cords: the children. Give them pep talk. Say, "Pray for good weather. Offer sacrifices to gain favor with the party guests so they will RSVP on time. Pay tribute to your father (who owns the yard) and other important relatives (who will drive out to pick up last-minute balloons and the pizza) to secure their assistance on the actual day of tribulation jubilee. Also give me a list of potion ingredients that won't kill your friends, especially those with food allergies." Ban "Don't Go Mining At Night" on iTunes, even though the children claim it is good for team morale, because it clogs your brain while working. Momentarily panic because your word processor does not have the Minecraft font. Slap sense back to self and pick Arial because who cares anyway what the instructions for the potions look like? Exorcise any thoughts of sewing from mind, including that manic one on mass-producing 14 stuffed Minecraft Squid (with teeth) as party favors. Corral all the take-out menus in the house and make all-week dinner arrangements. And - suddenly - the stress melts away and the sun shines through the clouds and everything is merry and bright. Because, you know, it's cardboard, and cardboard can make miracles of anything. Once more, then, into the breach! Hahaha! Can't wait to see!!! And soon I suspect if one were to go searching for amazingly creative fun minecraft party ideas on the internet, one will find some!!! (Thank you)!!! I can't wait to see it. Glad you resisted the urge to mass produce squid. I've made 2 softy creepers and one ghast. The ghast was easy (appliqued pillow with legs hanging out one side). The creepers were much trickier. 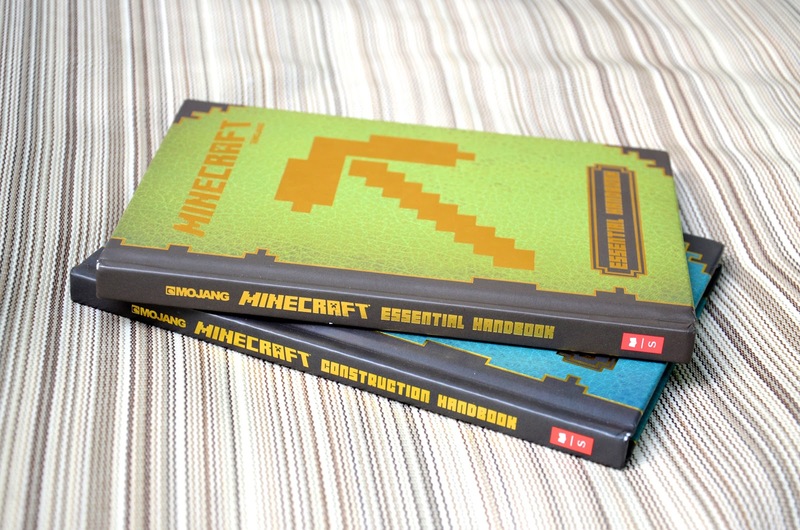 Our house has yet to join the Minecraft craze, but I look forward to reading about your party! If anyone can bring the happiness with cardboard, it would be you. Now I feel a little badly about not putting anything up about our Minecraft party, as a thank you to your amazing tutorial about cardboard. It was tough coming up with a 3D version of a very deeply 2D activity, but Lego was deployed, and a grid pattern table top for a couple crafting tables worked swell. Are they good with hot glue? Makes take home possible. It is mostly about building and adventures. Or it was. Now that we are past that, and into other games, I am....sad. No one cares if I call out "Look, it's Herobrine!" anymore. Mom to teens now. Get fed up and tell husband it is his time to organize the party. I'm done with it! I'm allways in awe of your parties, so am really looking forward to see what you pulled together.